What is Apple’s Problem? China? Its biggest problem is taking consumers for granted at home and abroad. Apple’s problem isn’t a slow-down in the Chinese economy or the US-China trade war. Its biggest problem is taking consumers for granted at home and abroad. At domestic sales, Apple considers the iPhone as a unique product. So there is a myth that the Apple’s sales market would keep growing and that the consumers would pay higher and higher prices for new iPhones. Actually it WAS true a decades ago, when the Apple was the only pioneer and service provider in the smartphone market. But it isn’t true nowadays. While some Apple fans still find Apple products unique, there’s plenty of competition from other smartphone manufacturers. Meanwhile, service providers no longer subsidize smartphone sales, as the smartphone market grows over and over. This change in the market conditions and circumstances, has made it increasingly difficult for Apple to stick to its old strategy. To introduce new versions of Apple’s product and to have consumers pay higher prices for them. “For Apple bears, the current environment highlights the fundamental challenge the company is facing in its next stage of growth: convincing customers that they should pay more for iPhones, at a time when the smartphone industry has hit a peak and cheaper phones are flooding the market,” says Haris Anwar, Senior Analyst at Investing.com. Overseas, Apple assumed that consumers are as anxious as American consumers to get hold of its products. While this is true for consumers in other developed countries, it isn’t for emerging markets like China, India, and Brazil. So there was the room where Asian manufacturers could catch up the Apple, with affordable smartphones. This situation might have made the Apple’s Problem worse. Here is another example of the company who took consumers for granted and suffered the consequences. Back in the 1990s, McDonald’s only focused on building new restaurants and buying up other food chains. And it neglected to keep up with the demands of new generations of consumers. Growth and profitability declined, as consumers searched elsewhere for value. Solving Apple’s problem depends on Apple coming up with the right product to address the peculiarity and specificity of smartphone market. The long-awaited Apple’s TV service is on this year? Apple might be planning to launch its own TV service in the first half of 2019. 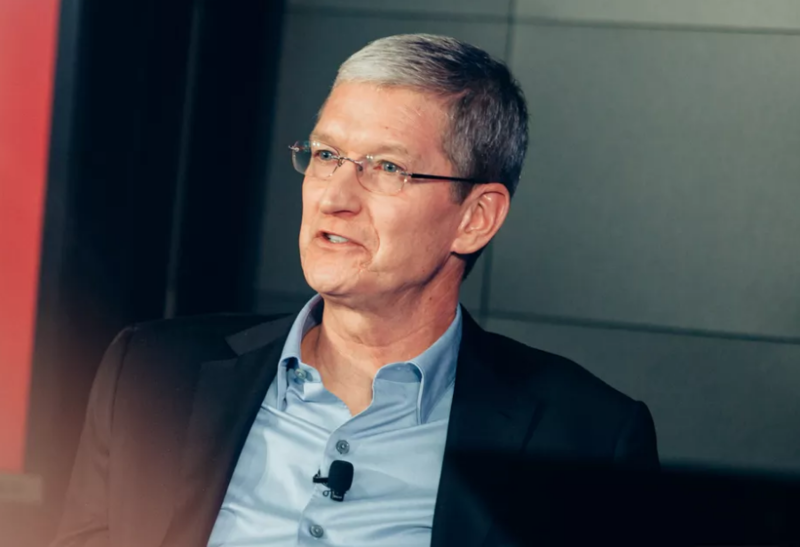 Apple CEO Tim Cook told CNBC’s Mad Money host Jim Cramer in an exclusive interview that the company will announce new “services” this year. While Cook didn’t say what kind of services. At CES 2019, there’s been a series of surprise announcements from TV manufacturers that are suddenly supporting Apple’s AirPlay 2 and HomeKit. They allow you to cast content directly from your iPhone, iPad and Mac. Even the major rivals of Apple, Google and Samsung do this. Furthermore, Samsung will actually support iTunes, too, enabling you to access movies and TV shows from iTunes. This make us to expect Apple might be ready to pump with those hardware manufacturers for the upcoming TV service. Then, there’s content: Apple has been spending over $1 billion on original TV content with no obvious platform. Another report suggested that some of those original shows were slated to debut as soon as this March. And another still claimed that those shows might be free for people who own Apple devices. But it’s not clear yet what other services Apple might be talking about. Cook also addressed reports that the iPhone XR might not be selling as well as expected, saying that it has still been the most popular iPhone every day since launch. He also said wearable device business is bringing in more money than the iPod ever did. The Apple Watch and AirPods made 50 percent more money than iPod at peak sales. Apple’s digital assistant, Siri just vaulted past Alexa and Cortana in an 800-question test. Over the recent few years, voice-controlled digital assistants, like Siri, have popular in our everyday life. For more examples there are Amazon’s Alexa, Alphabet’s Google Assistant, and Microsoft’s Cortana inhabit all kind of electronic devices. When Siri got back in 2010, this digital darling was revolutionary, but other companies started to follow this new sensation. Plus, Apple didn’t move fast to adapt the artificial intelligence (AI) that powered its digital assistant. On the other hand, competitors invested aggressively and gained acceleration from the beginning. Over the past couple of years, however, Apple has been working to restore Siri to her former glory. 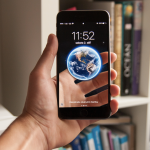 New data released by Loup Ventures shows that Siri is quickly gaining ground. Longtime Apple follower Gene Munster and fellow analyst Will Thompson set out to test the performance of the digital assistants. These are four of the most widely used smart speakers: Amazon Echo (Alexa), Google Home (Google Assistant), HomePod (Siri), and the Invoke (Cortana) by Harman Kardon, a division of Samsung Electronics. The process of the test was asking a series of 800 questions to each. They observed how the digital assistants answered the questions which held in five categories. Local: Where is the nearest coffee shop? Commerce: Can you order me more paper towels? Navigation: How do I get to uptown on the bus? Information: Who do the Twins play tonight? Command: Remind me to call Steve at 2 p.m. today. Siri took second place, and this was just right behind Google Assistant. Also, the report revealed that Siri’s score improved by more than 22 points — more than any other competitor. Siri answered 74.6% of questions correctly, and it is an improvement from the 52.3% tested in February 2018. 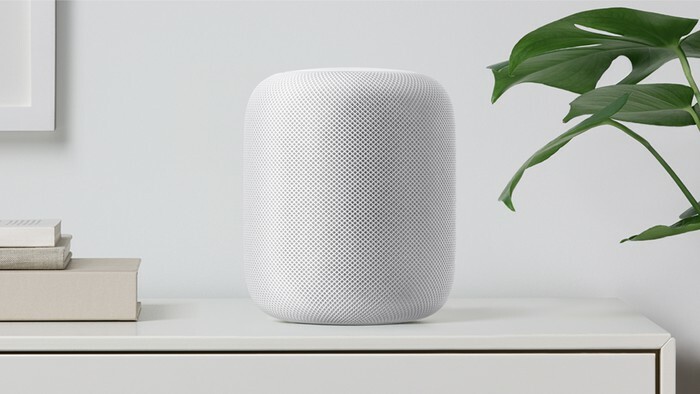 The report cites HomePod’s tight integration with Siri on the iPhone and its ability to access email, calendar, and messaging as contributing to its victory in that category. It took second place in three of the remaining four categories, but came in last in the Information segment. Earlier this year, Apple hired John Giannandrea to let him take the lead its recently reorganized AI, machine learning, and Siri teams. Also, Giannandrea had got promotion to the executive team, as senior vice president of machine learning and artificial intelligence strategy. Apple has long been behind in the AI field, because the company primarily had rigid stance on user privacy. AI uses large data sets but at the same time, involves transferring user data to the cloud. Apple has been trying to develop alternative ways. For instance, they can process data at the device level, which keeps user data more secure by keeping it out of the cloud. The New iPad Pro 2018 will be revealed on Tuesday, October 30 in New York City. iPad 9.7in for 2018, more affordable Apple model, has already launched earlier this year, new version of Apple iPad Pro is coming for wealthy people and creative professionals. The new Pro version is expected to be announced with an event, will be held in Brooklyn, New York, confirmed for tomorrow: 30 October, at 10 a.m. Eastern time. We can expect a larger screen, smaller bezels, an iPad without home button and notch since the latest Apple model takes inspiration from iPhone XS design. The image below has ‘leaked’ by one of the screen protector brand, mostly based on dimensions has leaked. For the final unit, wait for Apple’s big launch event tomorrow. The new design comes with Touch ID with Face ID camera for biometric authentication purposes and side bezels all around the display. By using this feature, you can unlock iPad with your face without the need for entering password or fingerprint process. Also, iPad Pro is expected to include TrueDepth front-facing camera along with better bokeh effects, slim top, and bottom display. By removal of the Home button and having a bezel of consistent around the edge, The iPad Pro comes with an entirely new look with a bigger, dynamic edge-to-edge display. The dimensions of the new models will go from 9.17 inches tall (247.64mm) and 7 inches wide (178.52mm) to 11 inches tall (280.66m) and 8.5 inches wide (215mm). According to the leaks comes from a trusted source who was right about Apple’s previous updates, new iPad Pro won’t have a headphone port and while the smaller model is expected to be as thin as 5.86mm the larger ones will be around 6.4mm. 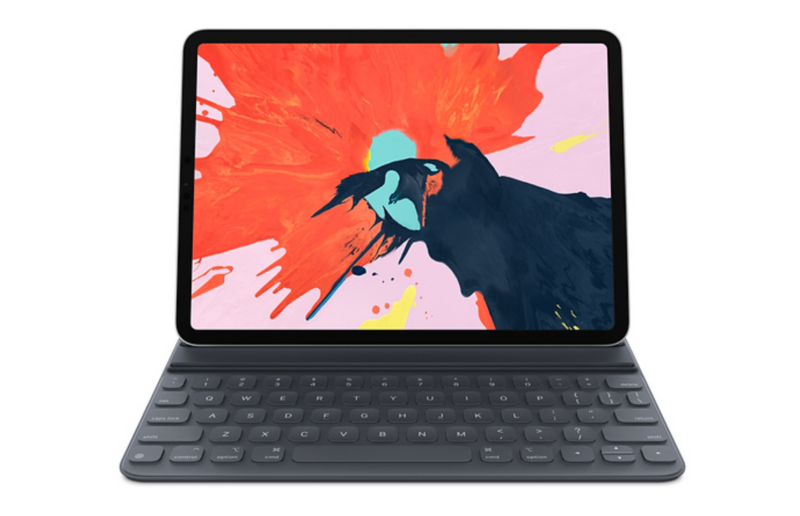 New iPad Pro users is expected to switch from the lightning port to the USB-C port. 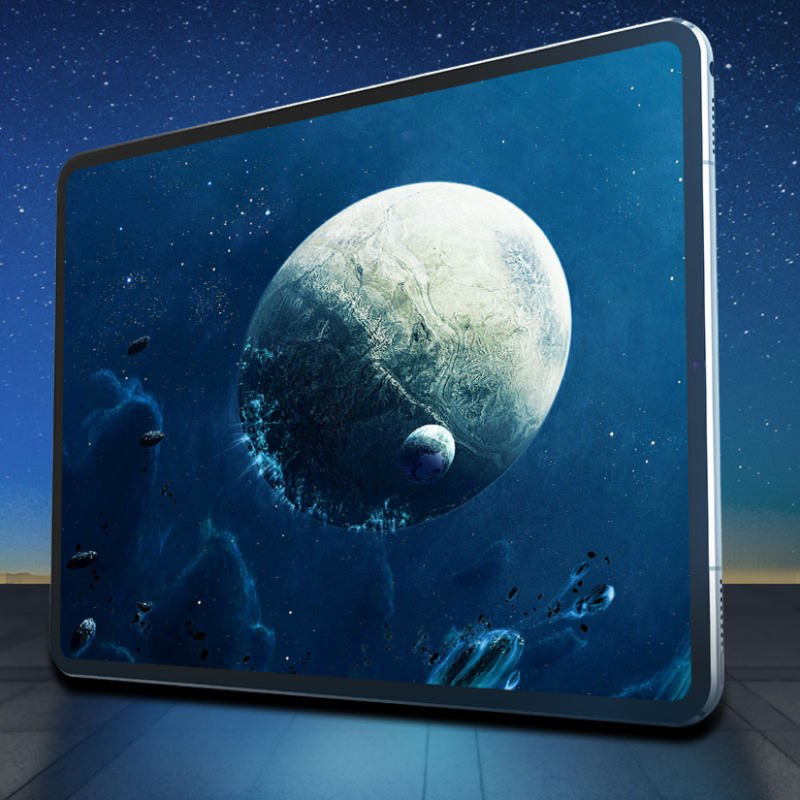 Design wise, we expect the new device has rounded corners and a sleep/wake button at the top, but it looks like new iPad’s models have a ‘diamond cut’ at both the front and the back of the frame as you can see the illustration as featured. 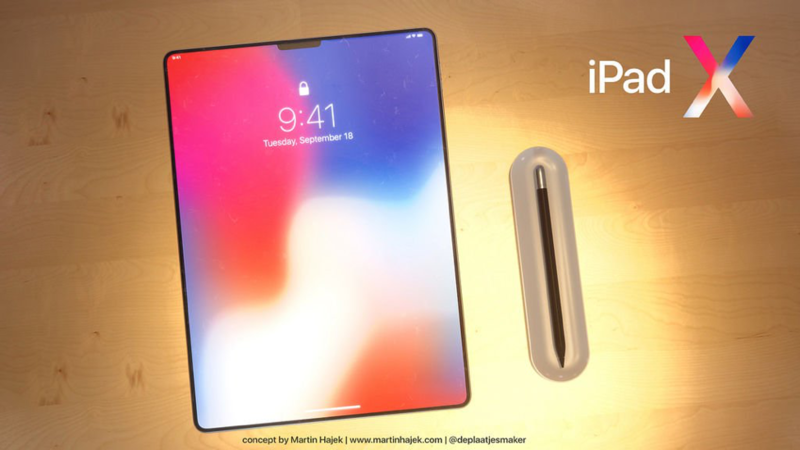 In addition to the new design and Face ID technology, the new iPad Pro is expected to be fitted with a new A12X processor, making the iPad faster than ever, and bringing some new artificial intelligence (AI) and augmented reality (AR) features. Since, current prices for iPad Pro 10.5in and 12.9in between $649 and $799, we would consider Apple to set a similar price range for 2018 updates. 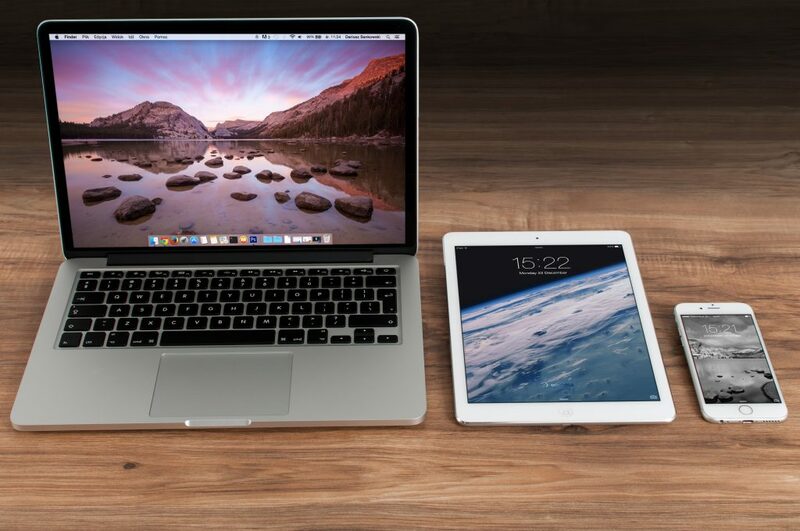 For more information on the new iPad models, click here. An astonished occurrence falls on what is one of the most popular stocks in the market— Longbow Research downgrades Apple. According to a Wall Street analyst, the iphone cycle will be a disappointment in 2018. The company, who is committed to giving investors insight to ensure their success, lowered its rating for Apple shares to neutral from buy, foreseeing the company will ship fewer iPhones than expected in fiscal 2018. Due to this, the analyst lower his fiscal 2018 iPhone unit shipment prognosis to 233 million from 248 million; contrary to Wall Street’s consensus of 239 million. Consequently, Apple kicked off Wednesday’s trading session down 0.3 percent. Indeed, for Apple this is a rare happening . However, 2018 is being a bit harsh to the company. In fact, the last time Apple was downgraded was on December 19, by Nomura Instinet. They downgraded Apple to neutral from buy, due to the company’s high valuation compared to previous iPhone cycles. Meanwhile, Bank of America Merrill Lynch has higher hopes for the company, reiterating its buy rating and raising its price target to $220 from $180 for Apple shares. This is 25 percent above Tuesday’s closing price, and it is also the highest target among major investment banks that cover Apple. Yet, with Apples turbulent moments this year, they seem to still be doing just fine. Apple’s stock is up 50 percent the last 12 months. A Wall Street analyst says after years of conspiracy theories that Apple was purposely slowing down older phones to make people upgrade their phone, may now have an opposite effect on the company. In December, Apple admitted that they have in fact been slowing down older phones. They say that without the slowdown, the iPhone would shut down when the old batteries couldn’t provide enough power for performance. After this revelation, Apple apologized and issued a discounted battery replacement for those who were using older models of the phone. However, this offer might hurt the company. If they hadn’t issued this offer, people would willingly want to upgrade to a new phone just to get rid of the slow phone. The analyst Mark Moskowitz says, “Our August Wireless survey suggests battery drain is No. 1 reason for users to upgrade to new device.” He states that for this reason, a new battery would deter some upgrade intention. According to Moskowitz, about three-quarters of the 675 million iPhones currently in use would be eligible for a battery upgrade. Without the discounted offer, this would have a good impact on iPhone sales. 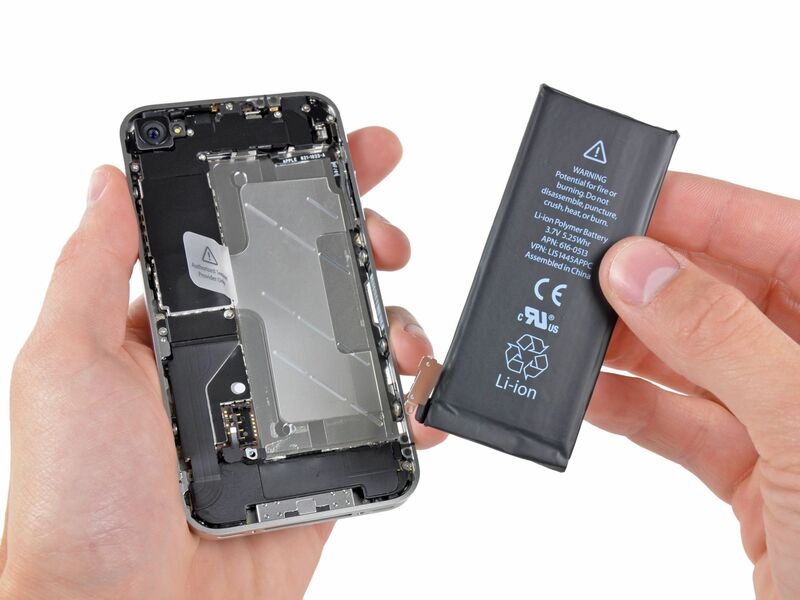 If 10 percent of those eligible for the replacement take the offer and about one-third of the people needing new batteries would have otherwise bought a new iPhone this year, then Apple will lose out on sales of 16 million devices and $10.3 billion of annual revenue. On the other hand, if half the people needing new batteries would have upgraded, then Apple loses out on 27 million sales and $18.2 billion in revenue. Apple is secretive about their iPhone plans. However, due to their crazy revealing week and the pressure to do better, Apple is probably glad for the distraction that the following leak will give them—three new 2018 iPhones. This year, Apple will expand the next generation iPhone X into two model range. This includes the iPhone X Plus. The iPhone SE will finally be updated after a long hiatus. The iPhones will also get bigger. The iPhone X might be 6.2 or 6.3 inches big. The iPhone SE will go from 4 inches to 6.1 inches. Furthermore, the iPhone X and iPhone X Plus will use a second generation of face ID technology expected to increase screen-to-body ratio. There might also be a potential larger top memory configuration. Before the Apple watch became a device exclusively for activity tracking and notifications, it was supposed to be a watch with a medical purpose. In the last months of Steve Job’s life, he was fighting cancer while managing diabetes. Because he did not like pricking his finger to draw blood, Mr. Job’s authorized an Apple research team to develop a noninvasive glucose reader— turned into a wristwatch. 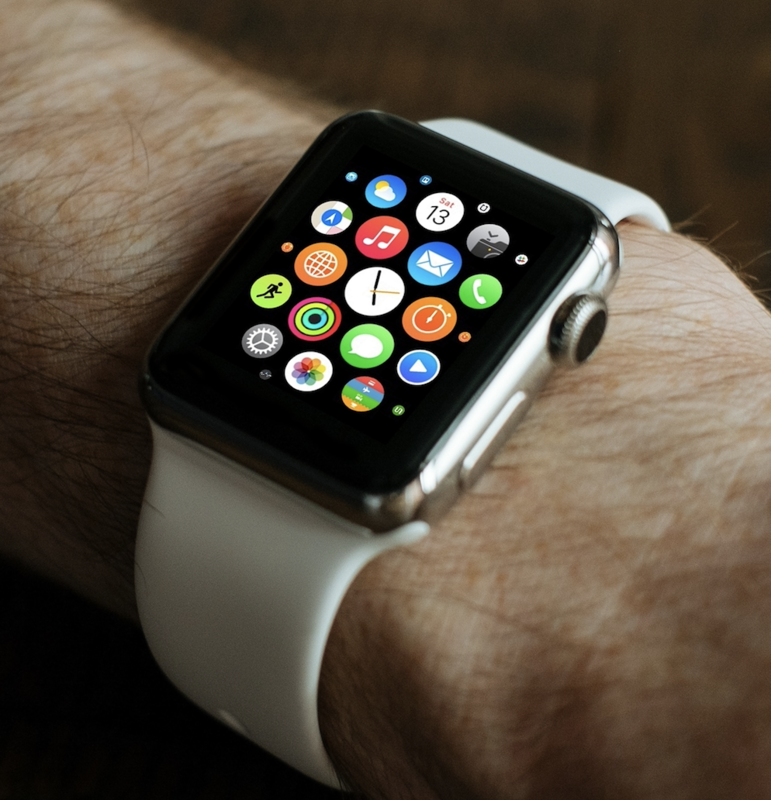 However, because many of the health features were unreliable, Apple ended up turning the device into what it is known for today—an activity tracking and notification device. 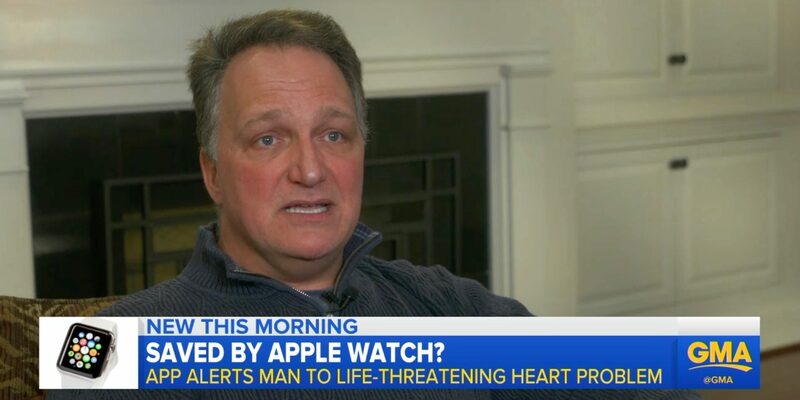 Nonetheless, the Apple watch is now finding its medical purpose. With that being said, September brought forth an interesting report. Apple announced that the Apple watch would become a more of a stand alone device. Since this announcement was made, many device manufacturers have been working on developing medical accessories. An example of this is the electrocardiogram for monitoring heart activity with the purpose to manage chronic conditions straight from their wrist. This is a stepforward for a device that many deemed unnecessary because most of its components already exist in their smartphone. Now, the smartwatch has a purpose.